The Traditional RagaMuffin is a derivative of the Traditional Ragdoll, retaining a few patterns and colors. It is known the original cats were not color points with blue eyes. They came from a variety of patterns and colors. Creating a wonderful pet with companionable personality and temperament was the main priority over coat color in the beginning. A pointed coat pattern was introduced, as an addition, much later in the breeding program, but not a replacement. 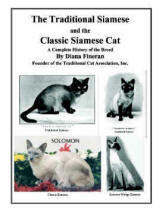 Today the original non-color points are considered as valuable and worthy of promoting and preserving as the pointed cats. An overall sweetness of character, along with a docile nature and a people loving, cuddly, affectionate attitude is to be expected. They are frequently called a huggable, teddy bear cat. The Traditional RagaMuffin is a robust, healthy cat.